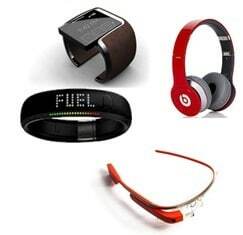 There is plenty of discussion these days about ‘wearable technology’, and many consumer electronics companies have ventured into the market with a range of offerings. Everything from ‘smart watches’ and augmented reality glasses, to t-shirts printed with graphics that respond to sound. Many of these are still in their infancy or are destined to be short-lived gadgets, and so far none of these products can be said to have made a significant impact on consumers. However, in the health sector, wearable technology has both found a ready market and is already making a significant impact. While applied mostly for treatment today, wearable technology can have far bigger impact if applied earlier in the health care cycle: increasing individual’s health consciousness, coaching them to live healthier and screening for early signs of diseases. Wearables will empower the worried-well to take ownership of their health, and facilitate assisted living for the elderly or disabled. Wearables can help prevent, diagnose early and more effectively treat diseases and lower healthcare system costs. Beneficial to both individuals and society, health-related applications will become the key driver for the success of wearables. Not surprisingly, recent announcements of wearable market shapers demonstrate their increased health focus. 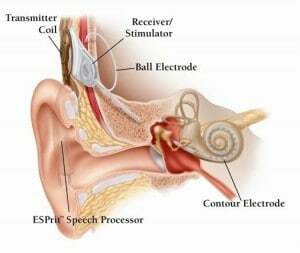 It could be said that the original and most widely used type of wearable device is the hearing instrument. Well over 12 million devices are supplied every year, making it the de facto largest and a long-lived wearable market. Electrical technology for these has a history as long as the telephone – replacing the traditional (and questionably effective!) 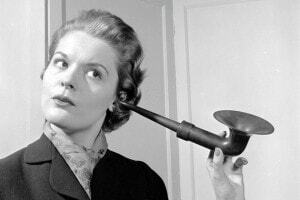 hearing trumpets when people started adapting telephone receivers to help improve their hearing. Wearability of hearing instruments evolved when moving to vacuum tube and later discrete transistor amplification. When Jack Kilby invented the integrated circuit in 1958, one of its first commercial applications was the BTE (behind-the-ear) hearing aid. Since then advances in hearing aids are driven by end user experience. Ease of use has been improved with developments such as wireless connectivity and battery life time extension. Performance was boosted by means of more advanced signal processing, while miniaturization made devices ever-lighter and smaller. 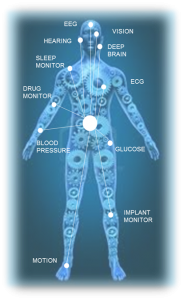 NXP has been actively developing the technology to make wearable medical devices possible and practical, and is currently applying its experience to several new applications. It has worked with industry leading OEMs for nearly two decades, on devices powering hearing aids as well as hearing implants. To meet the hearing industry’s demanding requirements NXP has developed and deployed cutting edge high performance mixed signal solutions. Highly integrated and optimized for ultra-low power operation, these devices are tiny and run from a tiny 1V zinc air battery. They encompass highly sensitive analogue front-ends, low gate count powerful Digital Signal Processors, non-volatile memory and wireless connectivity streaming data and audio robustly around and safely through the body. Future wearables will provide insight in your well-being, advise how to get better, give early warning to seek professional support, and inform caregivers and nurses of patients in need of help. Body-worn sensors will produce the raw data. They will be highly sensitive, very small, battery operated and can be placed anywhere on your body. They will be embedded in a wireless body area network which connects to the cloud via watch or smartphone much in the way today’s comparatively simple fitness trackers do. Smart algorithms will turn sensor data into actionable information, which will be tailored to the intended recipient. Hearing instruments do all of this, today. Having powered several generations of them, NXP is well-positioned and ready to address the unique needs of the wearable market.